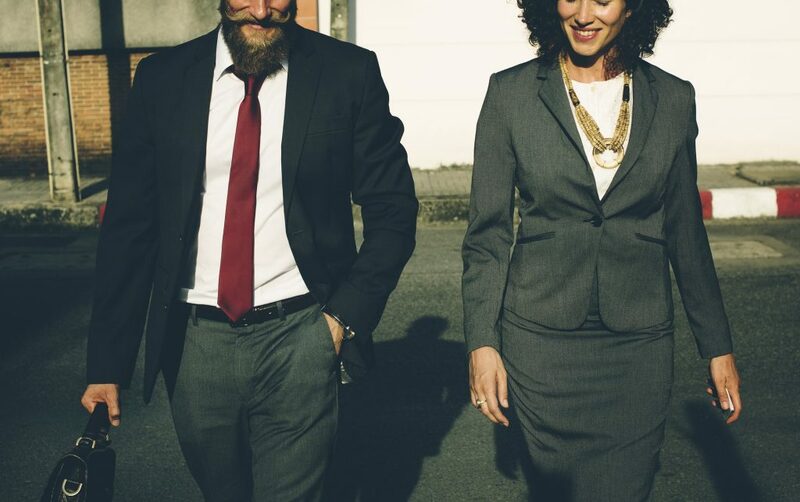 Some time ago, an article started to circulate in the business world regarding the benefits of having a “work spouse.” Discussions on Linked In ensued, and there were fairly strong opinions shared about the topic. If you don’t work remotely, you probably spend a lot of time at your workplace. Much of our waking hours are are spent on our profession. If we happen to work with great people, friendships can develop that are meaningful and appropriate. But there are also times when relationships get muddy and cross boundary lines. Those on the side of having a “work spouse” believe it’s very valuable to have someone you can trust to give you guidance at your job. If your “significant other” in your personal life isn’t deeply familiar with your industry, there’s a camaraderie and “inside” connection that can develop with those who know the jargon, understand the inside jokes, and directly experience the ups and downs. Those opposed to the idea (and I am one of them) feel that the term “work spouse” reveals a dangerous precedent, providing justification for allowing another person a level of intimacy (even if it is “only” for professional purposes) that should be reserved for your closest personal relationship (your wife, husband or significant other.) The mindset of two different “spouses” can make it easier to lead two separate lives, and doesn’t allow the privilege for your “real” spouse to listen and relate, and perhaps give objective advice into a major element of your life. I strongly oppose the concept (not just the word use) of “work spouse.” I have observed the tragic consequences of a work relationship crossing boundaries and causing heartache for the parties involved, as well as their families and coworkers and even the community. There is one person called to be my spouse, and that’s Keith. Our vows to each other deserve the respect of healthy boundaries. Keep your closest personal connection informed about your work. You don’t have to go into all sorts of details, but do you have a general idea of how your spouse or closest connection spends his/her day? Are you a safe person for them to vent to occasionally, or do you shut down conversations because you don’t understand their industry? Introduce your coworkers to your spouse. I’ve become friendly with the assistants/colleagues over the years where my husband works. We’ve even occasionally spent time together as couples. When you know your coworkers’ spouse or partner, there develops a respect for their relationship because they are becoming your acquaintance or friend too. It’s not a guarantee, but it’s helpful. Communicate. If something feels like a red flag, mention it. Be kind but assertive to clarify what the relationship at work means to you. Take care of it early on. In the situation I observed, there should have been obvious red flags early on but the workers kept walking the path forward until it blew up terribly. If appropriate, go to a supervisor or HR particularly if a pattern develops and doesn’t change when you’ve made yourself clear. There may also be suitable times for you to address a situation you’ve observed, with the associate(s) involved, privately and humbly, instead of looking the other way. I remember at least one time when I cautioned a (married) colleague I cared about to “be careful” because I was noticing how impressed they were becoming with another (married) colleague and it felt concerning. The idea of a #workspouse shouldn’t be taken lightly. You may disagree with my strong feelings about this–all I ask is that you be careful if you do. An amazing amount of stress could await you if you don’t get this figured out ahead of time. Did you find this post beneficial? Become a sponsor of HOPE for a gift of any amount. Click here.